Alabama Gov. 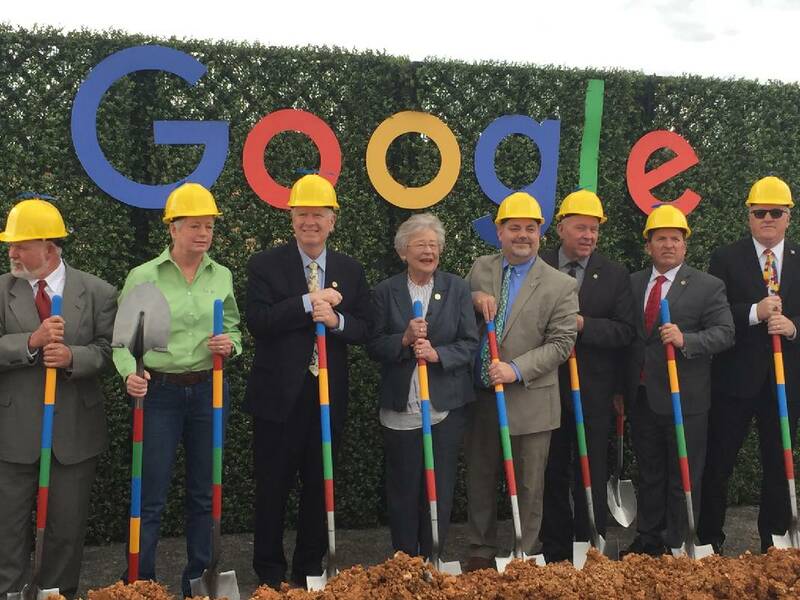 Kay Ivey, U.S. Rep. Mo Brooks and top Google and local officials break ground on Google's $600 million Dara center in Bridgeport, Ala. This story was updated Jan. 16, 2019, at 7:46 p.m. with more information. The world's biggest solar producer will build Alabama's biggest solar farm in Hollywood, Alabama, in the next two years to supply renewable energy for the $600 million data center Google is building on TVA's former Widows Creek coal plant site. NextEra Energy Resources will build the new 150-megawatt solar farm near the abandoned Bellefonte nuclear plant and sell the power to the Tennessee Valley Authority to help TVA deliver only renewable energy for Google's nearby facility. 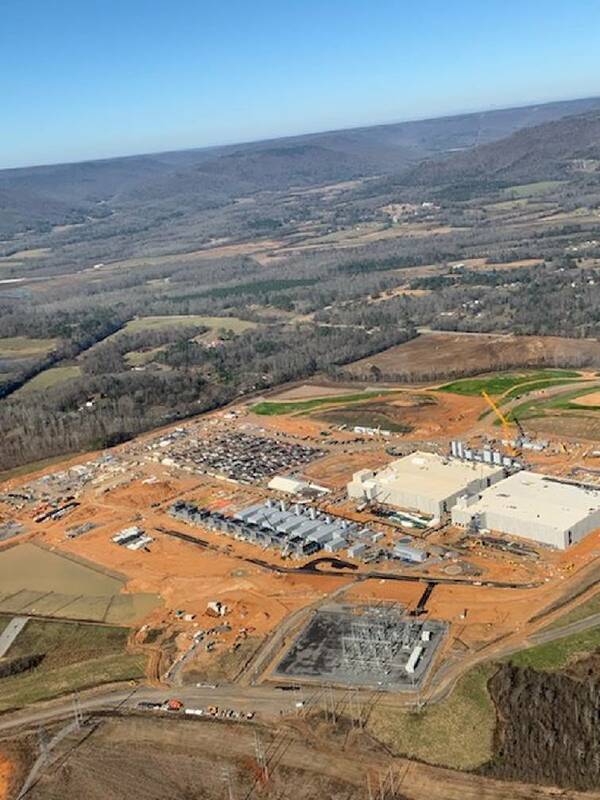 The $600 million Google data center near TVA's former Widows Creek Fossil Plant in Jackson County, Alabama takes shape. A similar-sized solar farm also will be built by Invenergy in Yum Yum, Tennessee to supply another Google data center being built near Clarksville, Tennessee. Google is building the new data centers to help meet the rising demand for data transmissions from the search engine giant. Data process centers handle as many as 100 billion searches for Google every month and 500 hours of video uploads to YouTube every minute. Google says its data centers use 50 percent less energy than other comparable data centers. Google also has committed to using only renewable energy to power the facilities. TVA is contracting with NextEra and Invenergy to supply Google with solar-generated electricity. "This milestone solar energy deal with TVA perfectly reflects this strategic commitment," Google said in a statement Wednesday. "These renewable energy projects represent good news for Google and for the Tennessee Valley region." Lisa Paul, a spokeswoman for NextEra, said building of the Alabama solar farm will employ up to 250 construction workers while the facility is being built. "It's expected to come on line in late 2021 and it should bring significant economic benefits to the region, as well as generating clean electricity," Paul said. To date, Google's more than 30 long-term contract commitments to purchase renewable energy have resulted in nearly $5 billion in investment worldwide. "Top-tier businesses like Google choose to invest in the Valley because of TVA's diverse energy portfolio," said John Bradley, TVA's senior vice president of economic development who worked three years ago to lure Google to Northeast Alabama and then later to upper Middle Tennessee. "Delivering large amounts of reliable, renewable energy at competitive rates creates quality jobs for the region and makes the Valley an attractive place to do business." Wednesday's announcement of the new solar farms for TVA comes less than three months after First Solar and NextEra also announced plans for other 150-megawatt solar farms, also in Tennessee and Alabama, to supply Facebook and other businesses looking for renewable energy to power their operations. Although TVA has lagged neighboring utilities such as Duke Energy and Georgia Power Co. in building more solar and wind generation, TVA President Bill Johnson said lat year the utility plans to spend $8 billion over the next 20 years on renewable energy. "TVA recognizes that renewable energy is a tremendous asset in terms of economic and environmental benefits," said Doug Perry, TVA vice president of Commercial Energy Solutions. "We're excited to partner with Google and make this happen for our region."